Ranbir Kapoor and actress Katrina Kaif’s much-awaited film Jagga Jasoos finally set to hit the theatres on 14th July. 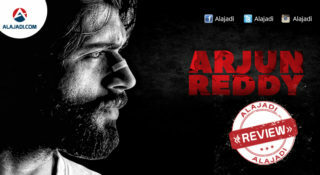 Talented director Anurag Basu who worked with Ranbeer Kapoor for super hit film Barfi(2012), is directing this film. 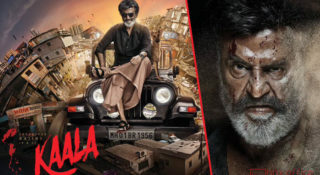 As more 2 weeks to go, Everyone are excited about the film. 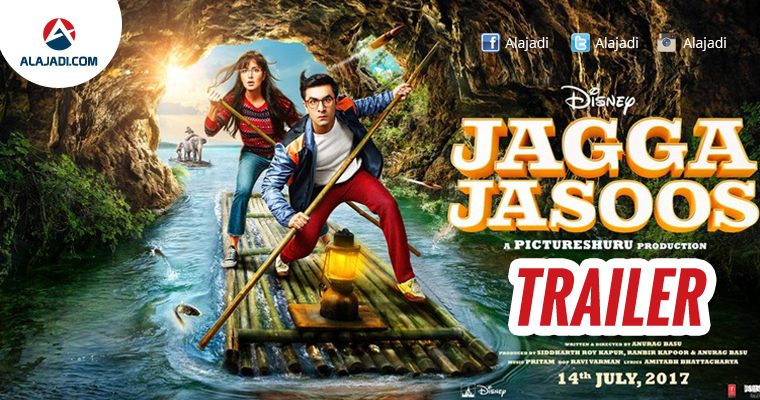 To raise the eagerness, makers are released the new trailer of Jagga Jasoos. The 2 minuted 59 seconds long video tells the Jagga who took us into his adventurous world which is beyond everyone’s imagination. The trailer looks fantastic and picture-perfect. 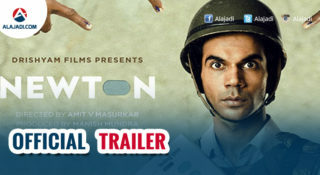 The Film tells the story of a detective in search of his missing father. 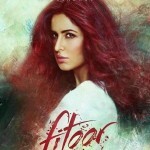 Ranbir Kapoor will be seen in a role of a detective named ‘Jagga’ and Katrina Kaif plays the role of Shruthi. The other thing we notice is that Ranbir is left by his father, who is declared dead but later on, the actor finds out that he is alive. Saurabh Shukla, who plays the character of a policeman, wants more details on Ranbir’s father. Again, why? But what we really loved is the jugalbandi between Ranbir and Saurabh. 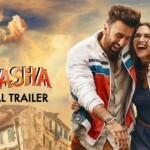 It reminds us of their Tom-Jerry moments from Barfi, and yeah the music is something we are looking forward to as even the background music is as engrossing as the singles from the film. Ranbeer Kapoor and Katrina Kaif are collaborating for the third time after ‘Ajab Prem Ki Ghazab Kahani’ and ‘Raajneeti’ films. The film also stars Adah Sharma, Sayani Gupta, Saswata Chatterjee, Govinda will be seen in the pivotal role. The music is composed by Pritam. The film is produced by Anurag Basu and Ranbir Kapoor under the banner Picture Shuru Productions and distributed by UTV Motion Pictures.